I know she is growing up, but as I witnessed her pulling out the summer peppers and preparing for their forthcoming carving, I was both impressed and saddened that she didn’t need my help. Still young, but the oldest of four, my daughter removed the stem ends, sliced the pepper’s ribs from the sides, and pushed the seeds away. Scrutinizing each step as she carefully and craftily proceeded, constructing and cooking lamb piperade for dinner. I stood off to the side as she deftly handled the blade, and acknowledged that just because she is able to keep her fingers from the edge of the knife doesn’t mean I don’t get nervous when she is handling things that could harm her. Disgust crosses her young face. It is time to handle the lamb. She asks for help, not because she needs it to get the job done, but because she hates the feel of raw meat. I join her, finally invited into the space she has set apart to create and compose the dish. The time of spending every moment together has long past; it has given way to school, books, and her own personal preferences. She no longer needs her mama to entertain her, groom her, or feed her. It brings great freedom to us both, but I have begun to see how I will need to hang on to her as she lets go of me… Continue reading at The Portland Moms Blog. Nope, not going to happen” was my consistent response to my husband when he put homeschooling on the table. He always reminded me that I have a Masters of Science in Education, and I would remind him of my spastic organizational skills. Privatized education, at-home learning, and the public education system; we explored them all, landing on the path we both walked as kids, public school. I have escorted three of my children through the doors of elementary school, and left them for hours. With my oldest two it was only for two hours and 45 minutes. But this year I sent my five-year-old darling away for the whole day. For the 2015-16 school year, Oregon joined a slew of other states implementing full-day kindergarten, and it touts a banquet of benefits. There is more routine, better opportunity for social development, and longer instruction time for to the newest generation entering academia. Our children are still learning to brush their hair, but we are asked to send them away for the entire day. Are they ready? 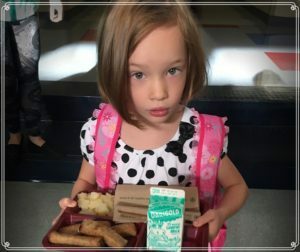 Here are some tips from the trenches, and some recommendations from the lovely woman who spends 6 hours a day, 5 days a week with my daughter; one of your very own Oregon full-day kindergarten teachers. Trust me, I begrudgingly enforced this last summer, but I can’t imagine how my daughter would have done in full-day kindergarten if I hadn’t. She was falling asleep when she got home into October, and once she even fell asleep in class. I told her she doesn’t need to be embarrassed, but we need to stay awake to learn. I empathize, and tell her it used to happen to me all the time. I just don’t let her know I was in high school. 1…2…3…apples, books, or people in line in front of us. You can practice this skill virtually anywhere. Equipping your emerging learner with the skill of counting to 20 will have them ready to take on the world of mathematics…Continue Reading @ The Portland Moms Blog.